The demand for whiskey, and specifically bourbon and rye, has been booming, with special attention paid to the craft distillers whose ranks have been increasing in recent years. This has lead to plenty of prognostications about which spirit will be the next bourbon/rye. Along the way, I’ve heard predictions that mezcal, rum, gin, and brandy will be the next big thing. If there’s a case for brandy, and American brandy in particular, then exhibit one is Copper & Kings. Established in 2015, Louisville, Kentucky-based Copper and Kings’ signature product is brandy, though they also make gin. At least from a business prospective, Copper & Kings’ investors were vindicated in their decision to start a craft brandy distillery in the heart of bourbon country when beer and spirits giant Constellation bought a share of the company earlier this year. That helped widen the availability of Copper & Kings’ offerings, including to my home state of Virginia, where all liquor is sold through state-run stores. I bought a bottle of Copper & Kings American Brandy at one such store for $36. This spirit uses sourced American brandy (some of which is later redistilled by Copper & Kings) blended solera-style with no flavor or colorings added. The non-chill filtered brandy is aged in a combination of mostly used Kentucky bourbon barrels along with a small percentage of new American oak barrels. The 90-proof brandy features a lively nose with pear, floral notes, and raspberry jam along with some alcohol heat. On the palate, the bourbon barrels show their influence with dry oak, tart fruits, honeysuckle, cereal grains, and some tropical notes. The finish features more dry notes along with pear skins and cocoa. It’s plenty drinkable neat or with a small bit of ice or a drop of water, though it really shines in a cocktail. I thought the flavors were ideal for the sidecar I enjoyed. So, is brandy the next big movement in craft distilling? I’m not sure. But it is a worthwhile excursion for the bourbon or rye drinker. 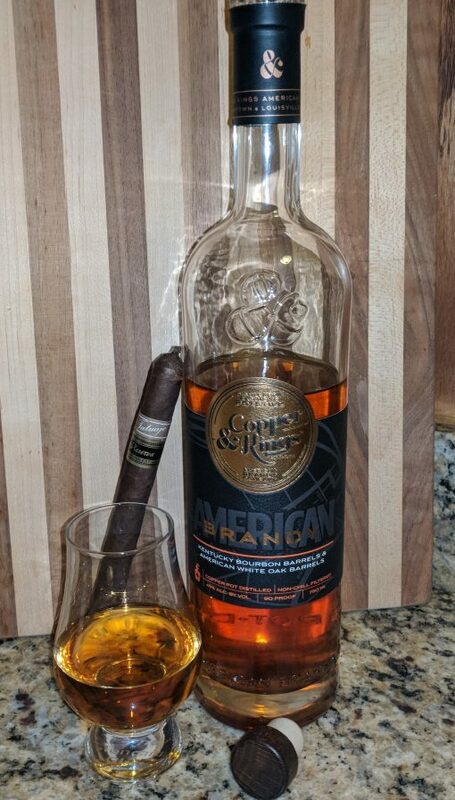 And a fine pairing with a mild- to medium-bodies Connecticut Shade-wrapped cigar like the Cabaiguan, Ashton Classic, Davidoff Grand Cru, or Paul Garmirian Gourmet.